15 Canada Square in Canary Wharf, London. 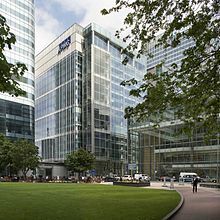 The headquarters of KPMG in the UK. The organization's history has spanned three centuries. In 1818 John Moxham opened a company in Bristol. James Grace and James Grace Jr. bought John Moxham & Co. and renamed it James Grace & Son in 1857. In 1861 Henry Grace joined James Jr. and the company was renamed James & Henry Grace; the firm evolved to become Grace, Ryland & Co.
William Barclay Peat joined Robert Fletcher & Co. in London at 17 and became head of the firm in 1891, renamed William Barclay Peat & Co. by then. In 1877 Thomson McLintock founded Thomson McLintock & Co in Glasgow. In 1897 Marwick Mitchell & Co. was founded by James Marwick and Roger Mitchell in New York City. In 1899 Ferdinand William LaFrentz founded the American Audit Co., in New York. In 1923 The American Audit Company was renamed FW LaFrentz & Co. In about 1913, Frank Wilber Main founded Main & Co. in Pittsburgh. 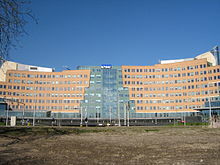 In March 1917 Piet Klijnveld and Jaap Kraayenhof opened an accounting firm called Klynveld Kraayenhof & Co. in Amsterdam. In 1925 William Barclay Peat & Co. and Marwick Mitchell & Co., merged to form Peat Marwick Mitchell. In 1963 Main LaFrentz & Co was formed by the merger of Main & Co and FW LaFrentz & Co. In 1969 Thomson McLintock and Main LaFrentz merged forming McLintock Main LaFrentz International  and McLintock Main LaFrentz International absorbed the general practice of Grace, Ryland & Co. In 1979 Klynveld Kraayenhof & Co. (Netherlands), McLintock Main LaFrentz (United Kingdom / United States) and Deutsche Treuhandgesellschaft (Germany) formed KMG (Klynveld Main Goerdeler) as a grouping of independent national practices to create a strong European-based international firm. Deutsche Treuhandgesellschaft CEO Reinhard Goerdeler (son of leading anti-Nazi activist Carl Goerdeler, who would have become Chancellor if Operation Valkyrie had succeeded) became the first CEO of KMG. In the United States, Main Lafrentz & Co. merged with Hurdman and Cranstoun to form Main Hurdman & Cranstoun. Then in 1987 KMG and Peat Marwick joined forces in the first mega-merger of large accounting firms and formed a firm called KPMG in the US, and most of the rest of the world, and Peat Marwick McLintock in the UK. In the Netherlands, as a consequence of the merger between PMI and KMG in 1988, PMI tax advisors joined Meijburg & Co. (The tax advisory agency Meijburg & Co. was founded by Willem Meijburg, Inspector of National Taxes, in 1939). Today, the Netherlands is the only country with two members of KPMG International: KPMG Audit (accountants) and Meijburg & Co (tax consultants). In 1991 the firm was renamed KPMG Peat Marwick, and in 1999 the name was reduced again to KPMG. 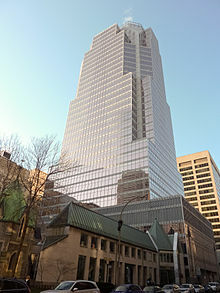 In October 1997, KPMG and Ernst & Young announced that they were to merge. However, while the merger to form PricewaterhouseCoopers was granted regulatory approval, the KPMG/Ernst & Young tie-up was later abandoned. In 2001 KPMG divested its U.S. consulting firm through an initial public offering of KPMG Consulting Inc, which is now called BearingPoint, Inc. In early 2009, BearingPoint filed for Chapter 11 bankruptcy protection. KPMG's member firms in the United Kingdom, Germany, Switzerland and Liechtenstein merged to form KPMG Europe LLP in October 2007. These member firms were followed by Spain, Belgium, the Netherlands, Luxembourg, CIS (Azerbaijan, Russia, Ukraine, Belarus, Kyrgyzstan, Kazakhstan, Armenia and Georgia), Turkey, Norway, and Saudi Arabia. They appointed joint Chairmen, John Griffith-Jones and Ralf Nonnenmacher. Each national KPMG firm is an independent legal entity and is a member of KPMG International Cooperative, a Swiss entity registered in the Swiss Canton of Zug. KPMG International changed its legal structure from a Swiss Verein to a co-operative under Swiss law in 2003. This structure in which the Cooperative provides support services only to the member firms is similar to other professional services networks. The member firms provide the services to client. The purpose is to limit the liability of each independent member. Bill Thomas is KPMG's Global Chairman. He was formerly Senior Partner and CEO of KPMG LLP, the KPMG member firm in Canada. Some KPMG member firms are registered as multidisciplinary entities which also provide legal services in certain jurisdictions. In India, regulations do not permit foreign auditing firms to operate. Hence KPMG carries out audits in India under the name of BSR & Co, an auditing firm that it bought off. B.S.R & Co was an auditing firm founded by B.S.Raut in Mumbai. In 1992, after India was forced to liberalise as one of the conditions of the world bank and IMF bail out, KPMG was granted a license to operate in India as an investment bank. It subsequently purchased B.S.R & Co and conducts audits in India under the name of this firm. Tax arrangements relating to tax avoidance and multinational corporations and Luxembourg which were negotiated by KPMG became public in 2014 in the so-called Luxembourg Leaks. In March 2017 KPMG launched a campaign designed to encourage more women to pursue careers in technology-based professions. The US branch of KPMG was rated one of the top 10 companies for working mothers. It was also ranked No. 12 on Fortune magazine's 2017 list of 100 Best Companies to Work For, voted for by employees. KPMG was the preferred employer among the Big Four accounting firms according to CollegeGrad.com. It was also ranked No. 4 on the list of "50 Best Places to Launch a Career" in 2009 according to Bloomberg Businessweek. In 2009, KPMG in the UK was named the best big company to work for by The Times. This was the fourth consecutive year that KPMG had made the top three. In 2009, in the UK, KPMG introduced a programme known as 'Flexible Futures'. This allowed staff to volunteer to give the firm the option to either send them on a sabbatical at 30% pay for up to 12 weeks, or to reduce their working hours to 4 days a week. The option remained open to the firm until October 2010. This facility has been invoked by the firm in some departments. KPMG publicised this as innovative and an alternative approach to redundancies. In October 2010, for the eighth year in a row, KPMG was named one of "Canada's Top 100 Employers" by Mediacorp Canada Inc., and was featured in Maclean's news magazine. In November 2010, KPMG was also named one of Greater Toronto's Top Employers, which was announced by the Toronto Star newspaper. It was reported in early 2012 that KPMG has about 11,000 staff in the UK and 9,000 in mainland China and Hong Kong. KPMG's global deputy chairman predicted that headcount in China would overtake that of the UK by the end of 2013. KPMG's Innovation Lab is based out of a WeWork in New York City. In 2003, the IRS issued summonses to KPMG for information about certain tax shelters and their investors. In February 2004, the US Justice Department commenced a criminal inquiry. The United States member firm, KPMG LLP, was accused by the United States Department of Justice of fraud in marketing abusive tax shelters. KPMG fired or forced the retirement of over a dozen who were involved. KPMG LLP admitted criminal wrongdoing in creating fraudulent tax shelters to help wealthy clients avoid $2.5 billion in taxes between 1996 and 2002, and agreed to pay $456 million in penalties to avoid indictment. Under the deferred prosecution agreement, KPMG LLP would not face criminal prosecution if it complied with the terms of its agreement with the government. On 3 January 2007, the criminal conspiracy charges against KPMG were dropped. In 2003, KPMG agreed to pay $125 million and $75 million to settle lawsuits stemming from the firm's audits of Rite Aid and Oxford Health Plans Inc., respectively. In 2004, KPMG agreed to pay $115 million to settle lawsuits stemming from the collapse of software company Lernout & Hauspie Speech Products NV. In 2006, Fannie Mae sued KPMG for malpractice for approving years of erroneous financial statements. In February 2007, KPMG Germany was investigated for ignoring questionable payments in the Siemens bribery case. In November 2008, the Siemens Supervisory Board recommended changing auditors from KPMG to Ernst & Young. 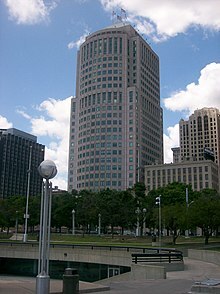 In March 2008, KPMG was accused of enabling "improper and imprudent practices" at New Century Financial, a failed mortgage company, and KPMG agreed to pay $80 million to settle suits from Xerox shareholders over manipulated earnings reports. It was announced in December 2008 that two of Tremont Group's Rye Select funds, audited by KPMG, had $2.37 billion invested with the Madoff "Ponzi scheme." Class action suits were filed. In August 2010, it was reported by the Swedish Financial Supervisory Authority to the Swedish accountancy regulator after HQ Bank was forced into involuntary liquidation after the Financial Supervisory Authority revoked all its licences for breach of banking regulations. In August 2011, KPMG conducted due diligence work on Hewlett Packard's $11.1 billion acquisition of the British software company Autonomy. In November 2012 HP announced an $8.8 billion write off due to "serious accounting improprieties" committed by Autonomy management prior to the acquisition. According to an independent panel formed to investigate irregular payments made by Olympus which reported in December 2011, KPMG's affiliate in Japan did not identify fraud at the company. 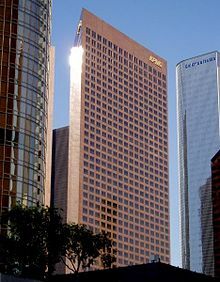 In April 2013, Scott London, a former KPMG LLP partner in charge of KPMG's US Los Angeles-based Pacific Southwest audit practice, admitted passing on stock tips about clients, including Herbalife, Skechers, and other companies, to his friend Bryan Shaw, a California jewelry-store owner. In return Shaw gave London $70,000 as well as gifts that included a $12,000 Rolex watch and concert tickets. On May 6, Shaw agreed to plead guilty to one count of conspiracy to commit securities fraud. He also agreed to pay around $1.3 million in restitution, and to cooperate with the government as part of a plea deal with federal prosecutors. This scandal led KPMG to resign as auditor for Herbalife and Sketchers. In 2015, KPMG was accused by the Canada Revenue Agency of tax evasion schemes: "The CRA alleges that the KPMG tax structure was in reality a 'sham' that intended to deceive the taxman." In 2016, the Canada Revenue Agency was found to have offered an amnesty to KPMG clients caught using an offshore tax-avoidance scheme on the Isle of Man. In 2017, KPMG terminated five partners in its audit practice, including the head of its audit practice in the US, after an investigation of advanced confidential knowledge of planned audit inspections by its Public Company Accounting Oversight Board. This followed criticism about KPMG's failure to uncover illegal sales practices at Wells Fargo or potential corruption at FIFA, the governing international body of soccer. It was reported in 2017 that KPMG had the highest number of deficiencies, among the Big Four, cited by its regulator in the previous two years. This includes two annual inspections that were compromised as a result of advanced access to inspection information. In March 2019, David Middendorf and Jeffrey Wada, co-defendants in the scandal, were convicted. In 2017, KPMG paid a $6.2 million fine to the US Securities and Exchange Commission for inadequacies in its audit of the financial statements of oil and gas company, Miller Energy Resources. In November 2017, 91 partners of KPMG faced contempt proceedings in Hong Kong High Court, as China Medical Technologies (CMED) liquidators investigating a $400 million fraud took action against KPMG with regard to its refusal honor a February 2016 court order to produce Chinese working papers, correspondence, and records to the liquidators. The liquidators are asking that 91 defendants be held in contempt of court, which could result in criminal penalties, or weekly fines. KPMG had issued written audit reports for CMED from 2003 to 2008, and was replaced by PwC Zhong Tian in August 2009. "Perhaps locking up 91 KPMG partners over Christmas may spur the firms to find a solution to this problem", said Professor Paul Gillis of Peking University's Guanghua School of Management. In November 2018, the Sultanate of Oman's Capital Market Authority (CMA) suspended KPMG from auditing entities regulated by the CMA for a period of one year after discovering major financial and accounting irregularities in the entities' records. In January 2018 it was announced that KPMG, auditor of collapsed UK construction firm Carillion, would have its role examined by the Financial Reporting Council, and it was summoned to give evidence before two House of Commons select committees on 22 February 2018. On 13 February 2018, the 'Big 4' accountancy firms, including KPMG, were described by MP Frank Field as "feasting on what was soon to become a carcass" after collecting fees of £72m for Carillion work during the years leading up to its collapse. KPMG was singled out for particular criticism for signing off Carillion's last accounts before a profit warning in July 2017: "Either KPMG failed to spot the warning signs, or its judgement was clouded by its cosy relationship with the company and the multimillion-pound fees it received," said MP Rachel Reeves. Two out of three former Carillion finance directors had also worked for KPMG. KPMG defended itself, saying that in the construction industry "an accumulation of adverse events [...] can quite quickly cause a precipitous decline." KPMG chairman and senior partner Bill Michael said: "It does not follow automatically from a company collapse either that the opinion of management was wrong, or that the auditor did a bad job." Auditing is a multi-million-pound business for the Big Four. On this morning's evidence from KPMG and Deloitte, these audits appear to be a colossal waste of time and money, fit only to provide false assurance to investors, workers and the public. [...] Carillion staff and investors could see the problems at the company but those responsible - auditors, regulators, and, ultimately, the directors – did nothing to stop Carillion being driven off a cliff. KPMG audited Carillion for 19 years, pocketing £29 million in the process. Not once during that time did they qualify their audit opinion on the financial statements, instead signing off the figures put in front of them by the company's directors. Yet, had KPMG been prepared to challenge management, the warning signs were there in highly questionable assumptions about construction contract revenue and the intangible asset of goodwill accumulated in historic acquisitions. These assumptions were fundamental to the picture of corporate health presented in audited annual accounts. In failing to exercise—and voice—professional scepticism towards Carillion's aggressive accounting judgements, KPMG was complicit in them. It should take its own share of responsibility for the consequences. The select committee chairs (Frank Field and Rachel Reeves) called for a complete overhaul of Britain's corporate governance regime, saying the government had "lacked the decisiveness or bravery" to do so, accused the big four accounting firms of operating as a "cosy club", with KPMG singled out for its "complicity" in signing off Carillion's "increasingly fantastical figures". We believe we conducted our audit appropriately. However, it's only right that following a corporate collapse of such size and significance, the necessary investigations are performed. Auditing large and complex businesses involves many judgments and we will continue to cooperate with the FRC's ongoing investigation. ... We welcome any future review of our profession. If we consider how the profession has changed in the last decade […] it is clear there is a need for us to look closely at our business models. In a June 2018 report on audit standards across eight accounting firms, the FRC identified "failure to challenge management and show appropriate scepticism across their audits." It highlighted a decline in the quality of work undertaken by the Big Four, with KPMG performing the worst. There had, the FRC said, been an "unacceptable deterioration" in the quality of KPMG's work, and the FRC would scrutinise KPMG more closely as a result. In October 2018, the FRC proposed reforms to tackle the "underlying falling trust in business and the effectiveness of audit," and severely rebuked KPMG. In November 2018, KPMG said it would no longer undertake consultancy work for FTSE 350 Index-listed companies if it was also auditing them, in an effort to "remove even the perception of a possible conflict" of interest. The Carillion investigation followed FRC investigations into KPMG's role at HBOS, Quindell and The Co-operative Bank. In July 2018, the FRC started an investigation into KPMG's audit role at collapsed drinks merchant Conviviality. In January 2019, KPMG announced it had suspended the partner that led Carillion's audit and three members of his team, and the FRC opened a second investigation into how KPMG audited Carillion's accounts. In 2017, KPMG was embroiled in related scandals involving the Gupta family. 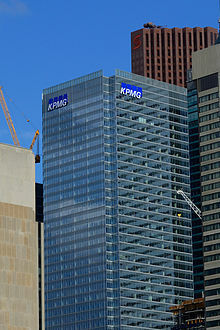 KPMG, whose history in South Africa dated back to 1895, and which had been part of the international organization since its founding in 1979, faced calls for closure, and an uncertain future, as a consequence of the damage done to the South African economy as a result of its activities. KPMG had been working with a Gupta family company in the mining sector, Oakbay Resources and Energy, for 15 years prior to the revelations of corruption and collusion in 2016, at which point KPMG resigned. The full impact and financial profit that KPMG received is yet to be determined; however, at least one large company has terminated its services with KPMG due to its relationship with Oakbay. In July 2017, after controversial documents were leaked by the amaBhungane Centre for Investigative Journalism, former chief executive of KPMG South Africa and the former partner that was responsible for audits related to the Gupta family, Moses Kgosana, withdrew from becoming the chairman of Alexander Forbes, a financial services firm. In 2015, KPMG issued a controversial report that implicated former Finance Minister Pravin Gordhan in the creation of an illegal intelligence gathering unit of the South African Revenue Service (SARS). This report was seen by elements of the media to be part of a wider Gupta-linked state capture conspiracy, with the aim of forcing Gordhan out of his post. The report was withdrawn by KPMG in September 2017, earning the ire of the Commissioner of SARS, Tom Moyane. After an internal investigation that found work done for the Gupta family fell "considerably short" of the firm's standards and amid rising political and public backlash, KPMG's senior leadership in South Africa, including its chairman Ahmed Jaffer, CEO Trevor Hoole, COO Steven Louw, and five partners, resigned in September 2017. Save South Africa, a civil-society group, accused KPMG and UK PR firm Bell Pottinger of playing a "central role in facilitating state capture." Numerous South African companies either fired KPMG in the immediate aftermath of the scandal, or were reconsidering their relationships with the firm  with the international chairman of KPMG, John Veihmeyer, apologising for the conduct of the South African arm and the firm pledged to donate fees earned from Gupta businesses, as well as the withdrawn SARS report to anti-corruption activities. The Swedish member firm was main sponsor for Swedish biathlete Magdalena Forsberg, six-time world champion and two-time Olympic medalist. Forsberg was working as a tax consultant at the KPMG Sundsvall office parallel to her athletic career. In February 2008, Phil Mickelson, ranked one of the best golfers in the world, signed a three-year global sponsorship deal with KPMG. As part of the agreement, Mickelson was to wear the KPMG logo on his headwear during all golf related appearances. The Canadian member firm sponsored skier Alexandre Bilodeau, who won the first gold medal for Canada on home soil in the 2010 Vancouver Olympics. Alexandre's father is a tax partner in the Montreal office. KPMG and McLaren Technology Group have formed a strategic alliance to apply McLaren Applied Technologies' (MAT) predictive analytics and technology to KPMG's audit and advisory services. McLaren 2015 Formula 1 car has the KPMG logo engraved above the pilot seat. Since 2016, KPMG has been strategic sponsor of Brain Bar, a Budapest-based, annually held festival on the future. KPMG ranked in the top 2 overall in Consultancy Rankings 2009 by OpRisk & Compliance – in recognition of KPMG's experience in risk management. In 2011, the company was ranked second on the World's Best Outsourcing Advisors – in recognition of the firm's depth of experience, global reach and holistic approach. That same year, the company was inducted into Working Mother Hall of Fame after being honored for 15 years as one of Working Mother magazine's 100 Best Companies for Working Mothers. KPMG was ranked number 13 in Consulting Magazine's Best Firms to Work for in 2016. In 2017, KPMG was ranked 29th on Fortune list of 100 best companies to work for. That same year, KPMG, along with PwC, Deloitte, and PA Consulting Group, were among the UK's 25 top companies to work for. ^ a b c d e "Chartered Accountants in England and Wales: A Guide to Historical Records". Manchester University Press. 1994. p. 133. ^ Your Planning Resource with Useful Tips and Techniques. John Wiley. 2008. p. 308. ISBN 978-0787996611. ^ "KPMG elects Bill Thomas as Global Chairman". KPMG. Retrieved 20 October 2017. ^ a b c d "KPMG 2018 Global Review" (PDF). Retrieved 24 December 2018. ^ a b c d e f "KPMG History". KPMG. ^ a b Grant, Julia (1995). New York State Society of Certified Public Accountants: Foundation of a Profession. Routledge. p. 212. ISBN 978-0815322382. ^ "Newspaper article". Pittsburgh Daily Post, Pittsburgh, Pennsylvania. 16 February 1914. p. 11. Retrieved 28 June 2016. ^ "The forces of deinstiutionalisation and demise" (PDF). Retrieved 28 June 2016. ^ "The Development of "The Big Eight" Accounting Firms in the United States, 1900 to 1990". Accounting Information. Retrieved 28 January 2017. ^ "Meijburg & Co - History". Retrieved 23 August 2017. ^ Note: KPMG derived from predecessor company founders: Piet Klijnveld, William Barclay Peat, James Marwick, and Reinhard Goerdeler. ^ "Ernst & Young, KPMG Peat Marwick to merge New company would be largest accounting, consulting firm in world". Baltimore Sun. 21 October 1997. Retrieved 5 September 2014. ^ "KPMG Partners Vote For Ernst Merger". The New York Times. 22 December 1997. Retrieved 5 September 2014. ^ "Accountancy merger off". BBC News. 13 February 1998. Retrieved 5 September 2014. ^ "KMPG and Ernst call off $18bn accountancy mega-merger". The Independent. 14 February 1998. Retrieved 5 September 2014. ^ "KPMG Consulting becomes BearingPoint". ITworld. 2 October 2002. Retrieved 5 September 2014. ^ Lazo, Alejandro (19 February 2009). "BearingPoint Seeks Bankruptcy Protection". The Washington Post. ^ Aldrick, Philip (6 June 2002). "KPMG stuns with French Atos sale". The Telegraph. Retrieved 5 September 2014. ^ "KPMG ditches legal ambitions in KLegal split". Legal Week. 6 November 2003. Retrieved 5 September 2014. ^ "FTI Consulting Completes Acquisition of Dispute Advisory Services Business Of KPMG". FTI Consulting. 3 November 2003. Retrieved 5 September 2014. ^ "Norway and Saudi Arabia to join KPMG Europe LLP". Consultant-news.com. 1 November 2010. Retrieved 5 September 2014. ^ "Norway and Saudi Arabia to join KPMG Europe LLP". KPMG International. 30 November 2010. Retrieved 5 September 2014. ^ This is illustrated in the cases involving Parmalat where clients sought to hold Deloitte (the Swiss Verein)and Grant Thornton International (a UK company providing administrative services to its members) liable for the negligence of other member firms. ^ "William B. Thomas". KPMG. Retrieved 15 May 2018. ^ "Disney and Skype 'used Luxembourg tax deals'". BBC. Retrieved 18 January 2015. ^ "KPMG launches campaign to encourage women into tech". ComputerWeekly. Retrieved 30 March 2017. ^ a b "Working Mother 100 Best Companies for 2011 Press Release". Working Mother. 15 September 2011. ^ "Fortune 100 Best Companies to work for 2017". Fortune. 9 March 2017. ^ "KPMG Named the Top Big Four Accounting Firm by CollegeGrad.com". CollegeGrad.com. 5 March 2008. Retrieved 5 September 2014. ^ Lavelle, Louis. "Best Places to Launch a Career (2009)". Bloomberg Businessweek. Retrieved 5 September 2014. ^ Katherine Griffiths (3 April 2013). "Best 100 Companies". The Times. Archived from the original on 12 June 2011. ^ Sam Fleming (16 January 2009). "Four day week as work dries up: KPMG offers 11,000 staff dramatic cut in hours to save jobs". Daily Mail. London. ^ "KPMG Enters Sponsorship with WeWork Labs". pitchbook.com. 24 October 2014. Retrieved 11 August 2017. ^ a b Browning, Lynnley (28 August 2005). "How an Accounting Firm Went From Resistance to Resignation". The New York Times. ^ Johnson, Carrie (23 August 2005). "KPMG Nears Agreement On Tax-Shelter Abuses". The Washington Post. ^ Johnson, Carrie (4 January 2007). "Charge Against KPMG Dropped". The Washington Post. Retrieved 8 September 2014. ^ "China headcount to overtake UK at top firms". Baltimore Sun. 11 March 2003. Retrieved 5 September 2014. ^ Taub, Stephen (12 October 2004). "KPMG Pays $115 Million to Settle Suit". CFO. Retrieved 5 September 2014. ^ Margaret Cronin Fisk (7 October 2004). "KPMG to Pay $115 Mln to Settle Lernout & Hauspie Suit". Bloomberg. Retrieved 8 September 2014. ^ Hilzenrath, David S. (13 December 2006). "Fannie Sues KPMG for Approving Bad Numbers". The Washington Post. Retrieved 8 September 2014. ^ Esterl, Mike (24 February 2007). "KPMG Germany's Failure to Spot Siemens Problems Raises Questions". The Wall Street Journal. Retrieved 8 September 2014. ^ Bajaj, Vikas (26 March 2008). "Report Assails Auditor for Work at Failed Home Lender". The New York Times. Retrieved 8 September 2014. ^ "Xerox, KPMG Settle Shareholder Suit". The Wall Street Journal. 28 March 2008. Retrieved 8 September 2014. ^ Mackintosh, James (18 December 2008). "Accounting firms drawn into Madoff scandal". Financial Times. Archived from the original on 7 December 2014. ^ Docket, Securities (20 February 2009). "Madoff-related class action filed in SDNY against Tremont Group, KPMG, others". Securities Docket. ^ "HQ Bank accountant KPMG reported after flaws". The Swedish Wire. 30 August 2010. Archived from the original on 16 July 2011. Retrieved 18 November 2010. ^ Singh, Rachael (20 November 2012). "KPMG conducted due diligence of Deloitte audit at Autonomy". Accountancy Age. Retrieved 8 September 2014. ^ Hardy, Quentin (20 November 2012). "Hewlett's Loss: A Folly Unfolds, by the Numbers". The New York Times. Retrieved 8 September 2014. ^ "The Culture Was Corrupt at Olympus, Panel Finds". The New York Times. 6 December 2011. Retrieved 8 September 2014. ^ a b Snyder, Riley (2 June 2014). "Bryan Shaw Sentenced to Prison in KPMG Insider Trading Case". Los Angeles Times. Retrieved 2 May 2018. ^ Rapoport, Michael (6 May 2013). "Guilty Plea in KPMG Case". The Wall Street Journal. Retrieved 8 September 2014. ^ Flitter, Emily (6 May 2013). "Friend of ex-KPMG auditor pleads guilty in insider case". Reuters. Retrieved 8 September 2014. ^ "Trading Case Embroils KPMG". The Wall Street Journal. 9 April 2013. Retrieved 8 September 2014. ^ "KPMG Offshore 'Sham' Deceived Tax Authorities, CRA Alleges". cbc.ca. 10 September 2015. Retrieved 11 September 2015. ^ "Secret tax deal for wealthy KPMG clients sparked anger inside Canada Revenue Agency". CBC News. 8 March 2016. Retrieved 9 March 2016. ^ Michaels, Dave; Rapoport, Michael. "KPMG partners fired over ethics breach". MarketWatch.com. Retrieved 18 April 2017. ^ a b Bray, Chad (12 April 2017). "KPMG Fires 6 Over Ethics Breach on Audit Warnings". The New York Times. Retrieved 18 April 2017. ^ Rapoport, Michael. "Fired KPMG Audit Head: How Did Scott Marcello Fall From Grace?". The Wall Street Journal. ^ Rapoport, Michael (11 March 2019). "KPMG Ex-Partner Convicted In 'Steal the Exam' Scandal". Wall Street Journal. ISSN 0099-9660. Retrieved 31 March 2019. ^ "KPMG to pay more than $6.2 mln to settle U.S. charges -SEC". Reuters. 15 August 2017. Retrieved 15 August 2017. ^ a b c Costello, Eugene (20 December 2017). "KPMG partners facing Hong Kong contempt proceedings," International Investment. ^ a b Miller, Matthew (20 December 2017). "Exclusive: KPMG partners face court contempt over China audit," Reuters. ^ "KPMG partners face court contempt proceedings in Hong Kong over China audit; The accounting firm has refused to hand over audit papers relating to China Medical Technologies despite a 2016 court order," South China Morning Post, 20 December 2017. ^ "Timeline: U.S., HK regulators struggle to get China audit papers," Reuters, 20 December 2017. ^ "Contempt hit looms for KPMG," The Standard, 21 December 2017. ^ McCance, Danny (15 November 2018). "KPMG suspended in Oman". Economia. Retrieved 15 November 2018. ^ "Carillion auditor KPMG faces scrutiny for approving books months before collapse". The Telegraph. 15 January 2018. Retrieved 20 January 2018. ^ "Committees publish responses from Big Four on Carillion". UK Parliament. 13 February 2018. Retrieved 13 February 2018. ^ a b c d Davies, Rob (13 February 2018). "Carillion: accountants accused of 'feasting' on company". Guardian. Retrieved 13 February 2018. ^ Marriage, Madison (22 February 2018). "MPs turn fire on KPMG and Deloitte partners over Carillion". Financial Times. Retrieved 22 February 2018. ^ "Carillion audits – colossal waste of time and money". Parliament.uk. Retrieved 22 February 2018. ^ Carillion: Second Joint report from the Business, Energy and Industrial Strategy and Work and Pensions Committees of Session 2017–19 (PDF). London: House of Commons. 2018. pp. 90–91. Retrieved 16 May 2018. ^ Davies, Rob (18 June 2018). "KPMG singled out in critical report on audit industry". Guardian. Retrieved 19 June 2018. ^ Collinson, Patrick (8 October 2018). "Accounting watchdog could ban auditors from consultancy work". Guardian. Retrieved 8 October 2018. ^ "KPMG stops consultancy for audit clients". BBC News. BBC. 9 November 2018. Retrieved 9 November 2018. ^ Vincent, Matthew (3 July 2018). "Opening Quote: KMPG audit probed . . . again". Financial Times. Retrieved 3 July 2018. ^ Morby, Aaron (21 January 2019). "KPMG suspends Carillion's lead auditor". Construction Enquirer. Retrieved 21 January 2019. ^ Jones, Huw (22 January 2019). "KPMG subject of second UK investigation over Carillion audit". Reuters. Retrieved 22 January 2019. ^ "South Africans urge US law-enforcers to bring Gupta and friends down with McKinsey - BizNews.com". BizNews.com. 11 July 2017. Retrieved 12 July 2017. ^ "History". KPMG South Africa. Retrieved 29 September 2017. ^ "KPMG will die a natural death – Abedian". Moneyweb. 15 September 2017. Retrieved 29 September 2017. ^ "Exclusive: South Africa's central bank tells lenders that KPMG is 'too big to fail'". Reuters. Retrieved 29 September 2017. ^ Steyn, Lisa (28 July 2017). "JSE-listed Sygnia fires KPMG over 'Gupta links'". Mail & Guardian. Retrieved 30 August 2017. ^ Wessels, Vernon (3 July 2017). "Ex-KPMG South Africa Boss Quits New Role to Face Gupta Claims". Bloomberg. Retrieved 22 September 2017. ^ "Meet unrepentant Gupta tax dodge 'lapdog' Moses Kgosana, KPMG heavyweight (5 July 2017)". Biznews.com. Retrieved 22 September 2017. ^ "After the Gupta wedding and the SARS 'Rogue Unit' report fiascos: What future for KPMG in South Africa?". Daily Maverick. 4 July 2017. Retrieved 21 September 2017. ^ Pieter du Toit Editor-in-Chief, HuffPost South Africa (15 September 2017). "KPMG Shocker: Audit Firm Disavows Sars 'Rogue Unit' Report, Eight Senior Staff Resign". Huffingtonpost.co.za. Retrieved 21 September 2017. ^ "All out wars as SARS blames KPMG for reputational damage". Times Live. 18 September 2017. Retrieved 21 September 2017. ^ "KPMG SA leadership axed in wake of Gupta revelations". ENCA. 15 September 2017. Retrieved 15 September 2017. ^ Brock, Joe (15 September 2017). "KPMG South Africa senior leaders resign over Gupta scandal". The Independent. Retrieved 22 September 2017. ^ Cotterill, Joseph (15 September 2017). "KPMG South Africa chiefs resign over Gupta scandal". Financial Times. Retrieved 15 September 2017. ^ Hilton Tarrant / 21 September 2017 (13 October 2015). "Hulisani drops KPMG due to reputational risk". Moneyweb. Retrieved 21 September 2017. ^ "KPMG international chairman apologises for South Africa failings". Reuters. 19 September 2017. Retrieved 21 September 2017. ^ "Gordhan, Jonas meet with KPMG over state=== capture | IOL News". Iol.co.za. 15 September 2017. Retrieved 21 September 2017. ^ "''Från skott till skatt''". Aftonbladet. 24 March 2002. ^ "Mickelson signs agreement with KPMG LLP". PGA Tour. 6 February 2008. ^ Kirbyson, Geoff (April 2010). "Golden opportunity for KPMG and skier". The Bottom Line. Archived from the original on 8 September 2014. Retrieved 8 September 2014. ^ Newquist, Caleb (18 February 2010). "Alexandre Bilodeau Is KPMG Canada's Phil Mickelson". The Going Concern. Retrieved 8 September 2014. ^ "KPMG & McLaren join forces to transform services". 21 November 2014. Retrieved 24 February 2015. ^ "Brain Bar 2016". 2 June 2016. ^ "Awards and Rankings - KPMG - CN". 27 July 2016. Retrieved 16 November 2016. ^ "IOAP 2011 Worlds Best Outsourcing Advisors". Archived from the original on 2 October 2014. Retrieved 5 September 2014. ^ "KPMG". Consulting Magazine. Retrieved 12 November 2016. ^ "100 Best Companies to Work For". 2017. Retrieved 2 May 2018. ^ "PwC, Deloitte, KPMG and PA among top 25 UK companies to work for". www.consultancy.uk. Retrieved 30 May 2017. 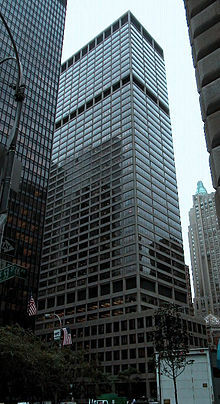 Wikimedia Commons has media related to KPMG.